Even though SOPA is no more, the ESA isn't apologizing for supporting it. The ESA's support of the widely-hated Stop Online Piracy Act has been quite a source of controversy for the past few weeks. Things really started to go nuts over the past few days, with many folks petitioning gave developers and news groups to boycot E3. Now that SOPA seems to finally, truly, be dead in the water (at least for now), the ESA has issued a statement about the bill, but it's not exactly saying that the legislation was a bad idea. "From the beginning, ESA has been committed to the passage of balanced legislation to address the illegal theft of intellectual property found on foreign rogue sites. Although the need to address this pervasive threat to our industry's creative investment remains, concerns have been expressed about unintended consequences stemming from the current legislative proposals. Accordingly, we call upon Congress, the Obama Administration, and stakeholders to refocus their energies on producing a solution that effectively balances both creative and technology interests. As an industry of innovators and creators, we understand the importance of both technological innovation and content protection and are committed to working with all parties to encourage a balanced solution." While it may be tempting to read this as the ESA dropping support of SOPA, that's not the case. This statement was clearly worded so it can work with whatever direction the political winds are blowing. The ESA is taking the same sort of stance that SOPA author Lamar Smith is, essentially saying "I won't admit I was wrong, but I recognize that my idea will not go forward as is." 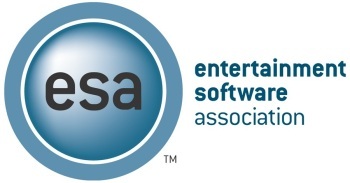 Both the ESA and its individual members have received a high amount of criticism from all sides over the organization's stance on SOPA, as well as how it spent a lot of money to support PIPA. Even Penny Arcade weighed in on the matter, calling out both the ESA for its support and Electronic Arts for its fence-straddling on the issue. While some members have gone on record to stand against the legislation, many developers and publishers have tacitly given approval of the ESA's support by saying nothing at all. So, for right now, the ESA is done supporting SOPA (since, you know, that bill isn't moving forward), but it looks like it'll probably get behind a similar piece of legislation if when someone else proposes it in the future. On a related note: Go read today's Critical Miss. You probably need a laugh after this story.